It is hard to believe that the summer is gone and we are heading into the fall, it seems like just a week or so ago, that school was out and summer had just begun. Well, it is that time of the year, the time our kids are back to school, temperatures should start to decrease, and with the water temperatures, starting to cool all species of fish will be packing on the pounds. When these things happen, it is a good bet that it will not be long before the fall bite begins. As the water temperatures decline, all species of fish will really start to feed heavily and because of this, in the fall, larger live bait works best. This is the time of the year, when, fish are on a mission, fattening up before the freeze up. Larger baits, chubs, larger minnows and even more than a single minnow on a hook seems to attract the larger fish, out producing smaller baits. 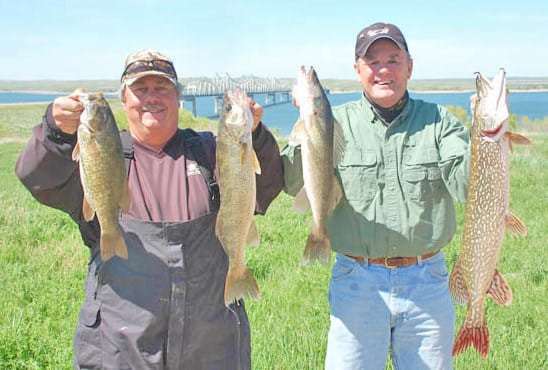 In the rivers, you will find the walleye, sauger and smallmouth bass moving shallow to clean up any remaining baitfish, crawfish that made it through the summer and smaller game fish. 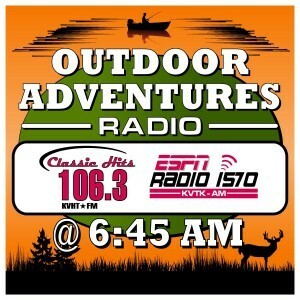 In our lakes, bluegills, crappies, largemouth bass and pike will move into and along the edge of the weeds, picking off the few baitfish left, insects and of course each other. Those walleyes in the lake will spread out over the mud flats or cruise the weeds looking for a late season snacks. The key to locating good numbers of fish will be to find the greenest vegetation as in the fall it attracts the fish. There are several reasons that fish will move into these green weed beds. The first is that their food source, baitfish and other aquatic species have relocated there, another is this is where the most comfortable water temperatures are found as the vegetation gives off oxygen, making it more comfortable for the fish, where they find shade, and of course, ambush locations to attack their food. If you have fished these weedy areas you know, they are a nightmare, as weeds eat tackle as fast as you can tie it on. When fishing for bass you will probably be working these weedy areas with some sort of weedless rig such as a Texas rig or some sort of weedless jig and pig combination. Fall bass love to bury themselves deep inside the weeds, adjacent to the open pockets in the weeds, waiting in ambush for some aquatic creature to swim by. These open water pockets are good locations to fish and run spinnerbaits over the top of the weeds. As the bait comes into the open pocket allowing it to helicopter down and when you get a bite or a no-show, no bite, you will need to bring your rod tip up high while power cranking the spinnerbait back up onto the surface. Buzzbaits are also very productive baits when fishing weedy areas, especially during the fall. They too should be run quickly, power cranked across the weed with the disturbance they make on the surface and the racket from the bait, bringing the fish up through the weeds to attack the bait. As water temperatures drop and late fall approaches, fish, which are cold blooded, their metabolism slows down and you will need to do the same, slowing down the way you fish and moving to smaller baits. If you are fishing for panfish, work the pockets and along the edge of the weeds with small tube jigs or a light livebait jigs. One of the best baits to draw panfish from the thicker cover they are using this time of the year, go with a Slip bobber rig, a slip bobber, split shot, micro jig or a small hook tipped with minnows or pieces of night crawler worked slowly along the outer weed edge. Walleye anglers this time off the year switch from night crawlers and leeches back to minnows. Experiment a little bit with your baits during late fall, as all walleyes do not change from worms to minnows at the same time or on a given date. On one trip, they may still prefer the larger live bait and the next a smaller bait presentation. Those fall fishing for walleye have good luck using jigs drifting through current breaks, worked along the edge of the weeds and on the mud flats. Pike anglers will be working the weeds as where you find weeds, you will find pike. Several baits that will pull pike from within the weeds, include spinnerbaits ran over the top or along the edge of the weeds. When fishing for pike in the fall, as I mentioned earlier when bass fishing in the weeds, you will want to hold your rod high and power or speed crank the bait over the top of the weeds, using the helicopter drop method into the open water pocket. If fishing the weeds edge, the old reliable daredevil ran along the edge will drive pike crazy and if the pike are nearby, results in a thunderous hit as the fish charges out of the weeds, smashing the lure and making an attempt to bury itself back deep into the cover. Slip bobber rigs with large hooks and bait drifted along the weed edge is another big pike producer in the fall. Bottom loving catfish make the move from their summer haunts, those cooler, deeper holes that held them in the hotter weather and head shallower. When fishing for fall cat, anglers fish their prepared (stinkbaits), cutbaits and live bait rigs into the in water with less current and cooler temperatures locations where catfish will be located. The fast water below the powerhouse will also hold catfish, as when the water came through the turbines, it created oxygen and the cooler water temperatures and oxygenated water, the catfish will be there, as they love to lie there behind the rock piles, dead falls and snags. You should not overlook any of the slack water pockets just off the current near the dam or others in the river, as no matter what species of fish you are after, these areas hold fish sometime during the day, as the fish cruise these current breaks regularly searching for a meal. Fall is the time of the year you do not want to make the mistake that some anglers do and put your fishing tackle away, only think only of hunting, as you are going to miss some of the finest fishing there is during the year.